Favorite Fish Chowder Economics had a lot to do with what we ate when I was growing up in New Hampshire during the Depression. Money may have been scarce, but fish was plentiful and affordable, so that's how we began eating this dish. 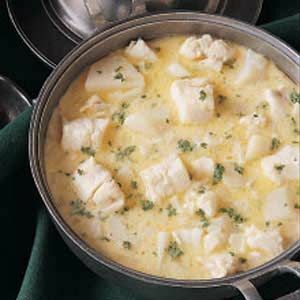 When meat rationing came along in World War II, fish chowder again became a staple in our household. Fortunately, my family loved it…it still is one of my favorites!